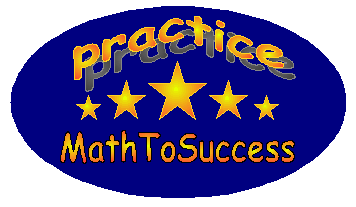 Math Olympiad is a highly interactive online practice system for 1-5 graders. There are 40 topics for each grade, and there are various types of challenging questions under each topic. All the questions are dynamically generated, and each practice/quiz can be practiced many times. Math Olympiad 1 provides students in 1st grade with plenty of challenging questions to strength their math skills and explore their interest in math subject. Math Olympiad 2 provides students in 2nd grade with plenty of challenging questions to strength their math skills and explore their interest in math subject. Math Olympiad 3 provides students in 3rd grade with plenty of challenging questions to strength their math skills and explore their interest in math subject. Math Olympiad 4 provides students in 4th grade with plenty of challenging questions to strength their math skills and explore their interest in math subject. COUNTS MORE provides students in grades 5-8 with specially tailored challenge questions to improve their competition math strength through additional practice. COUNTS MORE is a great complementary to school MATHCOUNTS training with aims to sharpen students' math skills for the MATHCOUNTS competition.